As many Republicans are waiting for Walker as the 2016 race heats up, let’s look at his standing with the top GOP donors. In short, he has good relations with them, and it shows he’s a serious candidate. The New York Times’ Upshot blog categorized the top 250 GOP donors based on individuals who have given the maximum amount allowed by law at the federal level over the past 12 years. It’s a bit skewed given that former Florida Gov. Jeb Bush’s last election was in 2002, and has remained out of the political limelight until recently. As a result, his numbers aren’t that good. Nevertheless, everyone recognizes that he will be a leviathan in fundraising if he decides to run, which by all accounts, looks like he will in the foreseeable future. Walker has been working on building his national donor network for quite some time, and while it may not raise as much money as Bush; it could be one of the largest networks in the party. In the past four years, he’s been able to raise $83 million for his past three elections from a state that isn’t necessarily considered a powerhouse in politics. 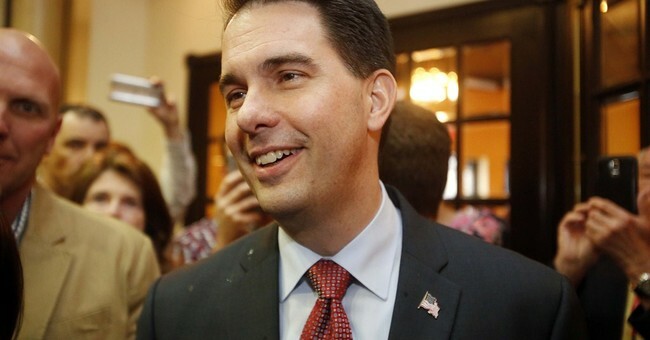 Moreover, Walker’s small donor Rolodex is said to rival that of Sen. Rand Paul (R-KY). There’s also the $300 million the Koch brothers are projected to spend on campaigns in 2016–and that amount could be spread amongst several candidates. We have a solid field in 2016, with serious candidates who look attractive to donors. That’s a good thing. Every wing of the GOP is more or less represented for the upcoming primaries; let’s see how they do.